Some of our clients are walk-ins and present to us without a referral, requesting an appointment with a Psychologist at Psychology Central Gold Coast. You are welcome to do this. If you chose to run your sessions this way, no rebates will apply to your sessions. We are located at 91 Upton St Bundall, right behind the Greek Orthodox Church. Contact us on 55 78 98 68 to book an appointment. Alternatively follow this link to submit an email enquiry and we will be in contact with you promptly to discuss your needs in greater detail. There is no need to miss out on your appointment because you have moved interstate, to another city or are on the road a lot! Psychology Central works around you to make it as easy as possible for you to still be able to link in for support & attend your sessions. In Medicare's view, Skype sessions are not Medicare-refundable unless a client is living in a rural area and it is difficult for them to access necessary services. As such, Skype appointments are treated the same as Direct walk-in appointments and do not require a referral. Skype appointments do need to be pre-paid 24 hrs prior to your appointment time. Another great way to stay connected & get support no matter where you are, is by utilising telephone consultations. One of the ways we do this is by using Viber, an easy to download, free iPhone app. appointments and do not require a referral. These types of appointments do need to be pre-paid 24 hrs prior to your appointment time. Another way to access support is via your GP. If you qualify, your GP will write you a referral (Mental Health Care Plan). This will entitle you to Medicare rebates which cover most of your consultation costs. With a Mental Health Care Plan, you may be able to access 6-10 consultations (50 mins each) per calendar year. Contact us on 55 78 98 68 to book an appointment and discuss obtaining your GP referral to benefit from the Medicare Rebates. 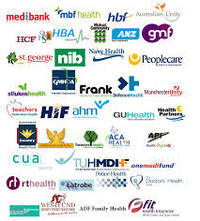 If you are using Medicare referral, there is no need to wait in Medicare queue or do online claiming. All we need you to do it bring your referral to your Gold Coast Psychologist at Psychology Central Gold Coast. Don't forget your Medicare card and an eftpos card with savings or cheque accounts as we are unable to rebate to credit cards. Easy. There are a number of great Health Care funds who provide a high level of cover for sessions with your Gold Coast Psychologist at Psychology Central Gold Coast. You may need to check with your provider what level of cover you are on. Again, when using a Health Fund Card, there is no need to wait in a queue or do online claiming. All we need you to do it bring your Health Care Fund card referral to your Gold Coast Psychologist at Psychology Central Gold Coast and the process will be done on the spot, for you. injuries related to your work environment which often includes the presence of symptoms of depression, stress and anxiety. You may have suffered one or multiple incidents in your work environment. 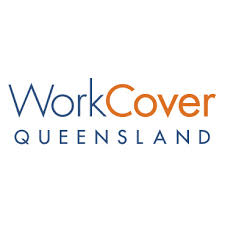 As WorkCover subsidise your sessions, they keep close track of your progress in sessions by liaising with your treating Gold Coast psychologist. These sessions are billed directly to WorkCover after your sessions and do not require any direct payments from you.